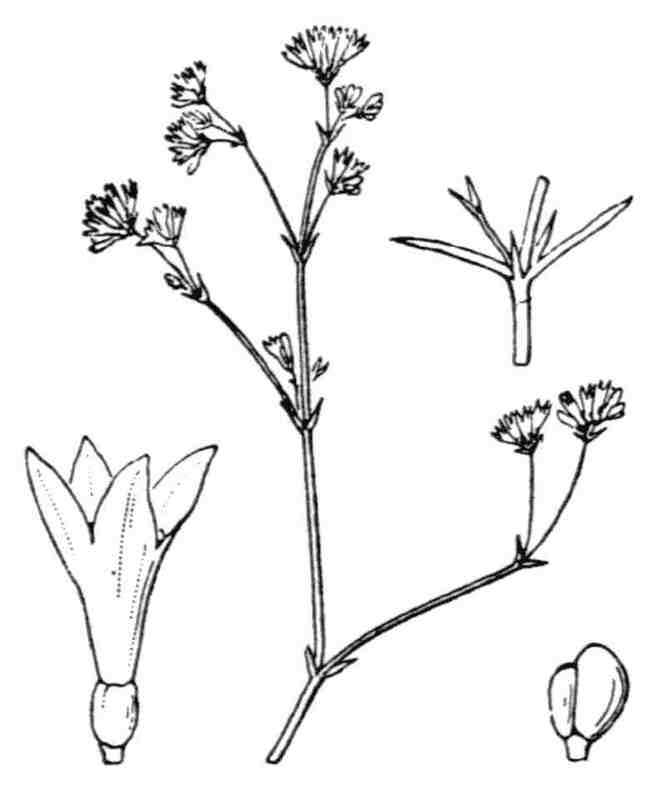 LATIN: Asperula cynanchica subsp. cynanchica L.
Asperula cynanchica subsp. cynanchica L.
Flora Gallica 2014 as Asperula cynanchica L.
Écologie : Lieux secs et arides, surtout calcaires, dans presque toute la France. Répartition hors de France : Europe centrale et méridionale; Caucase et Arménie. A tufted perennial with numerous glabrous, diffuse stems 10-23 cm long, rising from a woody rootstock. Ecology UK: It is abundant in calcareous places in the south and rare in the rest of England. Flowers: 5 mm diam., in terminal, long-stalked corymbs; corolla lobes pink, lanceolate, spreading, about as long as tube. Leaves: 4-6 in a whorl, 15-20 mm long, linear, mucronate, smooth. Fruit : glabres, finement tuberculeux. Fruit: 1.5 x 2.0 mm, each carpel sub-globose, tubercled and wrinkled.